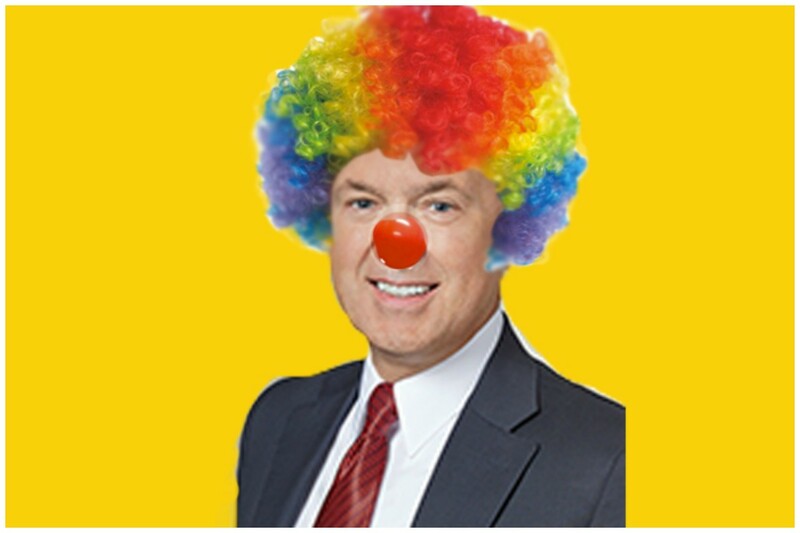 Stumpf took his case to Jim Cramer...so that's how bad things are for him in case you were wondering. At the end of his worst week as CEO of Wells Fargo, John Stumpf did what most people looking to have a meaningful conversation with a serious adult and reach a massive audience do; he went on Mad Money with Jim Cramer. Wait, what? Seriously, Stumpf, are you even trying anymore? But the embattled executive&apos;s choice of venue wasn&apos;t even the most confusing part of this whole deal. Cramer came out blazing with his trademark "subtlety" and "coherent eloquence," basically asking Stumpf off the bat "WTF, dude?" 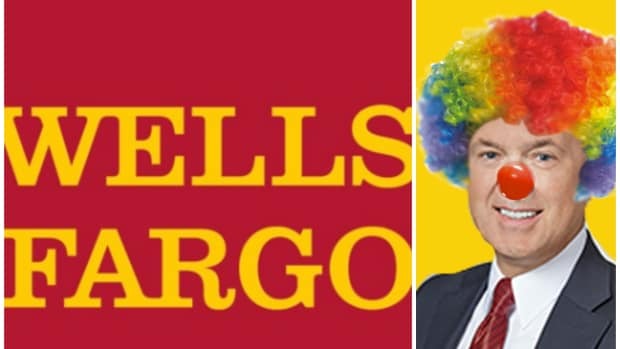 The man with the last un-ironic goatee on television even pushed Stumpf hard on his recent claims that Wells Fargo&apos;s fraud nightmare was caused by a handful of bad actors inside the bank. CRAMER: And then today I see Wells Fargo CEO defends bank culture, lays blame with bad employees. That&apos;s not you. You don&apos;t leave blame with bad. You&apos;re the head coach. You told &apos;em you&apos;re the Vince Lombardi. Vince Lombardi never blamed the linemen. CRAMER: Now, look at the numbers. 1,000 out of how many? STUMPF: Out of 100,000. Now-- but that&apos;s still 1,000 too many. And it&apos;s-- and it&apos;s over a five-year period, so that&apos;s how you get to the 5,300. And we&apos;ve actually increased our investment in compliance and different tools to help make sure that this becomes a smaller and smaller number. But we all-- all levels of management feel responsible to make sure that we do it right every time. Yeah, 1,000 is too many, especially when it&apos;s really 5,3000. Trying to bury what went so wrong by recasting the numbers on an annual average is not the type of move that screams "Accountability." In fact, it screams "Accounting." CRAMER: But at the same time, John, you&apos;re a buck-stops-here guy. Didn&apos;t the buck stop with you in this? STUMPF: Well, of course it stops with all of us, and especially me. I-- I&apos;m-- no-- I&apos;m the leader, I-- I get it. Later in the interview, Stumpf got bogged down in whether or not the 2 million unauthorized accounts were "fraudulent" or not, totally talked around the deeply nettlesome Carrie Tolstedt situation and said that he still "Loves" the practice of cross-selling products. The last item is more an issue of verb choice, but the choice was terrible. 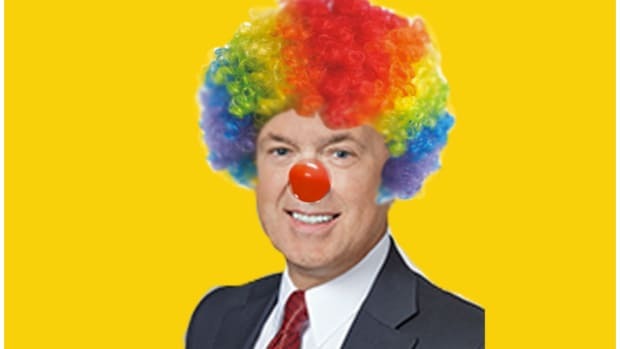 In light of all that, the most ironic part of the chat was probably when Stumpf told Cramer in no uncertain terms that he not only deserves to remain CEO, he needs to. STUMPF: Well, Jim, I think the best thing I could do right now is lead this company and lead this company forward. In fact, today we made actually an announcement about product sales goals. You know, we never intended for product sales and any dynamic or any part of a performance management system to be misinterpreted. And how is that going, Stumpfy? 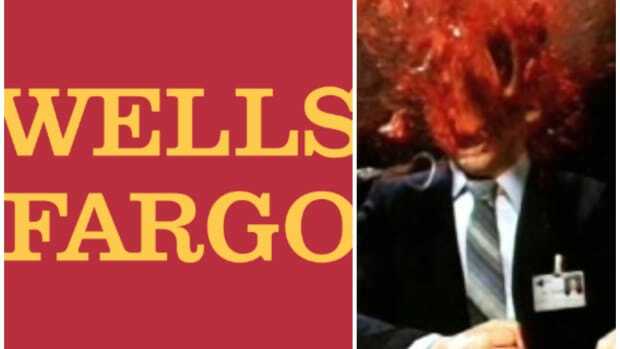 Wells Fargo Employees Tell John Stumpf That "We Learned It From Watching You, Dad"
This "A few 5,300 bad apples ruined the bunch" defense is not holding up too well. 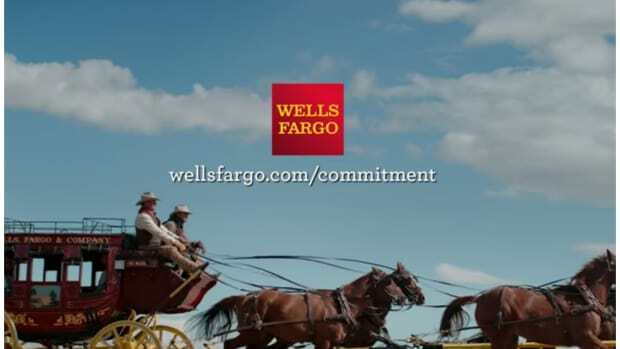 After internal investigation, Wells Fargo relieved to see that it already fired all the bad people. John Stumpf's clawback is both substantial and cravenly weak. "Do we have a guy maybe MORE tarred than Stumpf? Promote him!" John Stumpf is having a sh!t sandwich for lunch again. Is John Stumpf smoking bath salts?!?! Oh, this just gets better and better. This 30 second TV spot feels longer than a Stumpf Senate hearing.